Outdoor living areas are becoming increasingly popular every year. One major component of the most enjoyable outdoor areas is a fireplace or fire pit. As with an interior room, an outdoor fireplace becomes the main focal point of a space. It can add relaxed ambience and be a functional place where the whole family can sit, chat, or entertain friends in those cooler summer evenings. Before choosing your fireplace design, you will need to decide what its main purpose will be. Will the fireplace be more decorative, a heat source, or would you perhaps like to cook on it? Would a fireplace or a fire pit make better sense for your purpose? Fireplaces these days can be made with a variety of materials, including brick, stone, stainless steel, tiles, stucco or concrete. They can also be made to fit a wide range of styles – traditional or contemporary. Your budget will play a major factor in the type of fireplace you will be able to have. Whatever fireplace you choose, it should be large enough to heat the outdoor living space adequately, but small enough that it doesn’t completely overwhelm. Also you should choose a style that complements your current home surroundings. There are two main options you can choose from when deciding upon an outdoor fireplace, a wood burning fireplace or a gas one. Both options have pros and cons and for many it really comes down to personal preference and convenience. A wood burning fireplace is easier and less expensive to build and implement (especially a fire pit) as you will not need to install a gas line from your main gas to the outdoor fireplace or pay for the ever increasing cost of natural gas or be connected to a propane tank. They also offer more of an ‘authentic’ outdoor fire experience. However, wood burning fireplaces do require more maintenance such as the frequent tending of the fire and cleaning up of the ashes afterwards. Gas and propane burning fireplaces are easier to manage and you can have a ‘convenient heat’ with a simple push of a button. But bear in mind they do not give out as much heat as a wood version and there also might be restrictions regarding the position in your garden. 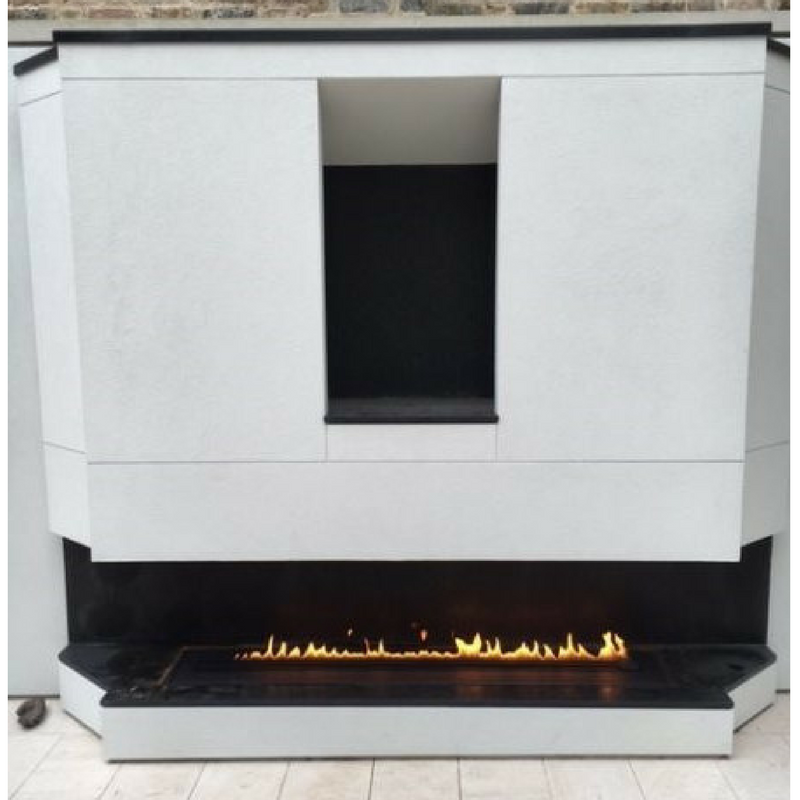 If you are thinking of installing an outdoor fireplace for this summer, then give The Billington Partnership a call on 07545 855623 and we can chat through the options with you and give you a free consultation.